Surfers are usually seen as very laid-back and relaxed. It’s the lifestyle where you just enjoy life. But it can get intense once you hit the water. 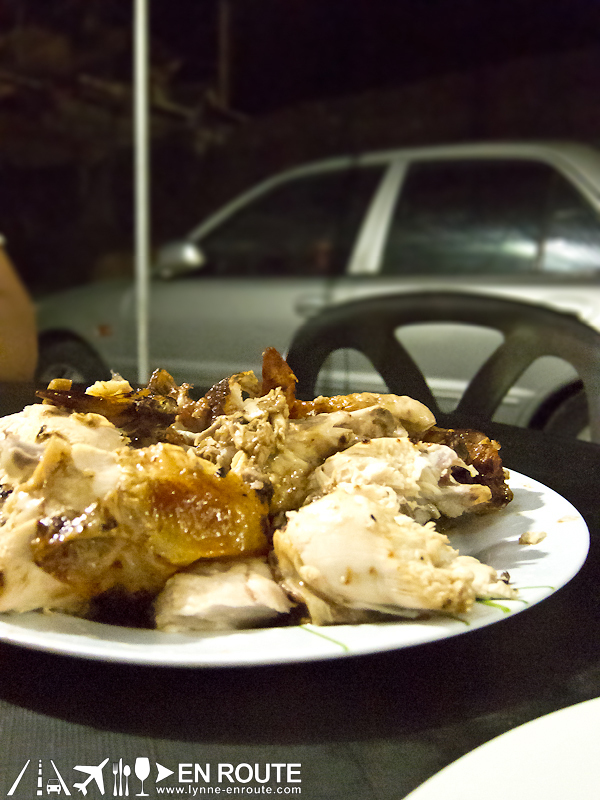 And if you want to recover your strength for another bout with the waves of La Union, there’s nothing like a nice no-nonsense serving of lechon manok (grilled chicken) and liempo (grilled pork belly) to give you that boost. 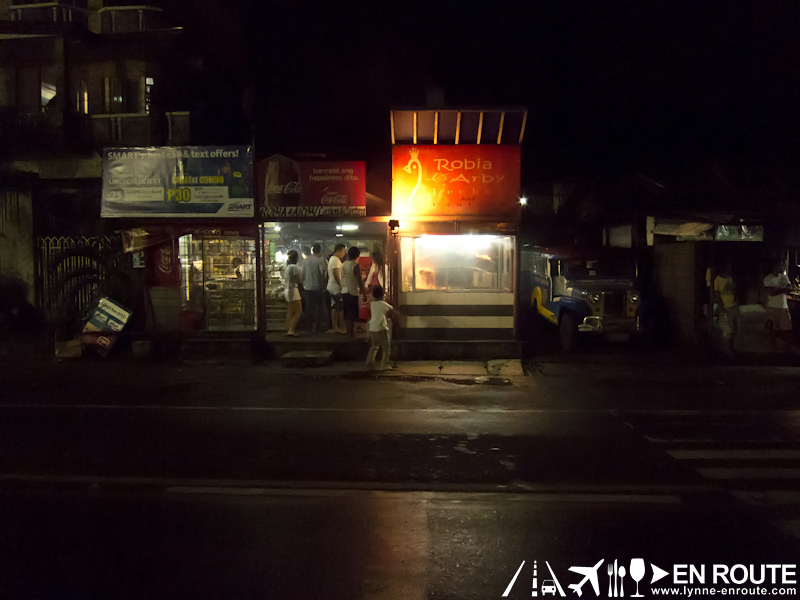 The main highway of La Union (the same one that bridges San Fernando and San Juan), is lined with shacks and little eateries boasting of their own lechon manok concoction. But a place you should try is Robia & Arby’s Lechon & Canteen. Grilled food? Check out other entries about it! 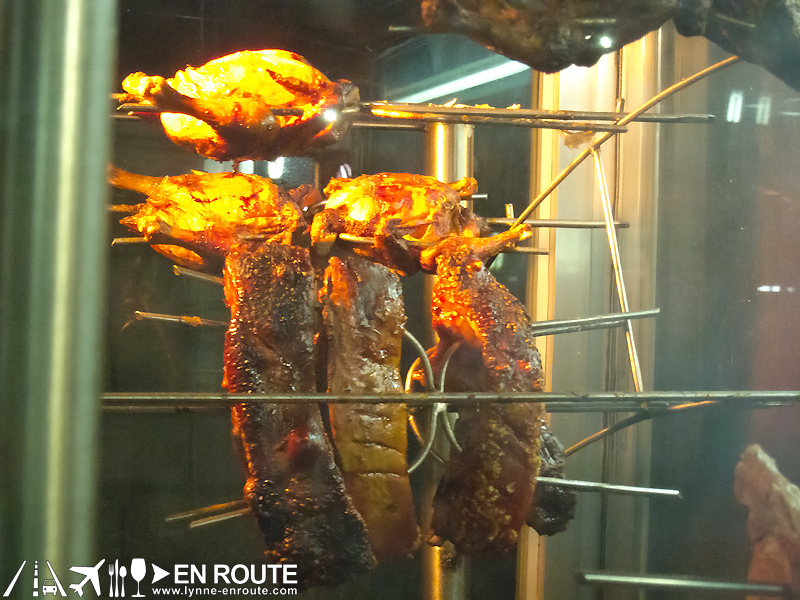 If you’re looking for lip-smacking goodness, this is the lechon manok and liempo place for you. 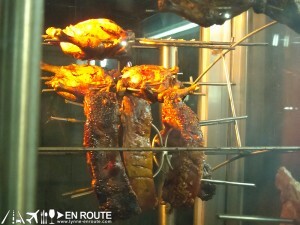 The chicken is flavorful enough on its own or with their gravy or sarsa (sauce). 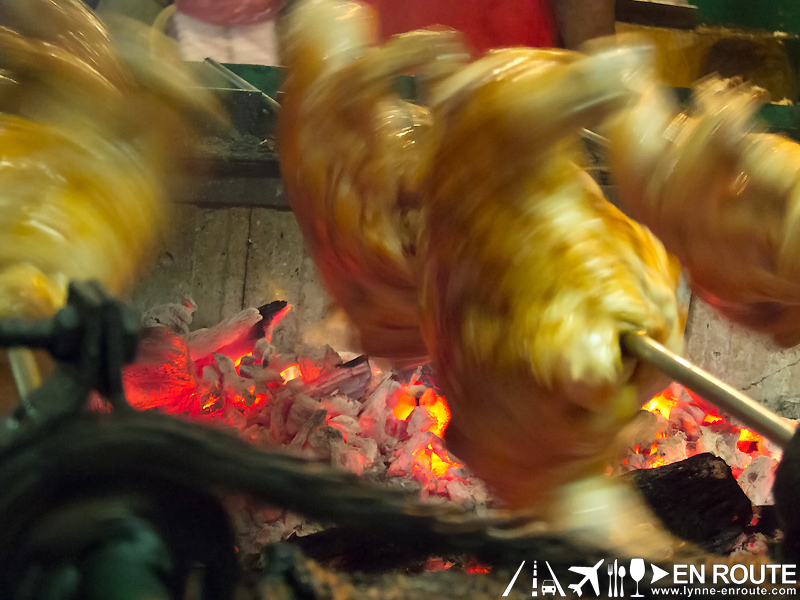 Their technique in cooking is to have the chicken turn over the grill at a consistent but fast pace. One can get dizzy from just watching the chicken twirl and get more golden by the minute. 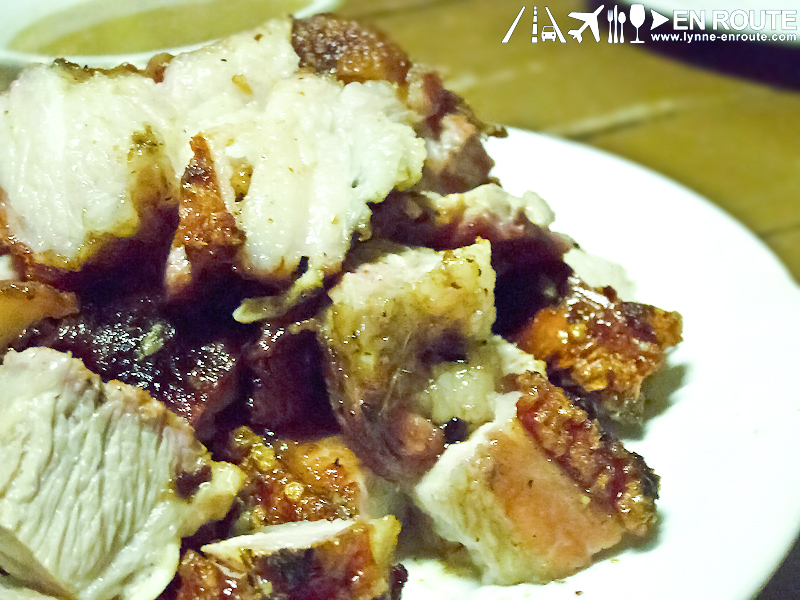 Their liempo is truly the sinful kind as it is wrapped in layers and layers of fat. (Hey, it’s assumed you’d want to surf it off in the morning anyway. 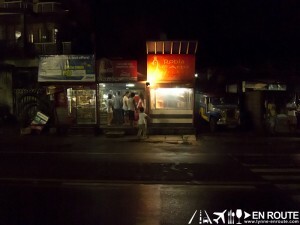 :P) Both are best eaten with rice in between gulps of the complementary soup broth. 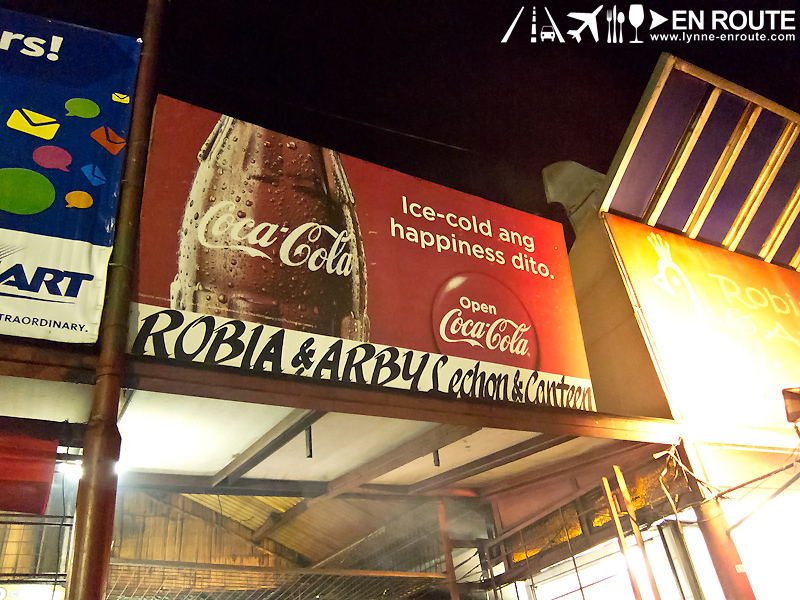 Arby & Robia’s can be located along the National Highway, across a BPI branch and the Coke plant (the one with giant “cans”). If you are coming from San Fernando to San Juan, it will be on your right. See our other finds En Route on Facebook! This is a local version of finger-lickin’ good I guess. 😛 Hahaha.